Rapidé Sky Rize-R bars are made from high performance AL7050-T6 Double Butted Alloy with a 780mm width and 38mm rise. The extra rise is a bonus in steep terrain, keeping the rider more centered, balanced and in control when things get rowdy. With a full 780mm width and 38mm rise the Rapidé SkyRize-R bars give you even more stability in the rough, more room to maneuver, more room for optimum control placement, more leverage, more corner speed! The 9° back sweep, 5° up sweep combination gives a comfortable, easy to use hand position and the extra rise is a bonus in steep terrain, keeping the rider more centered, balanced and in control when things get rowdy. 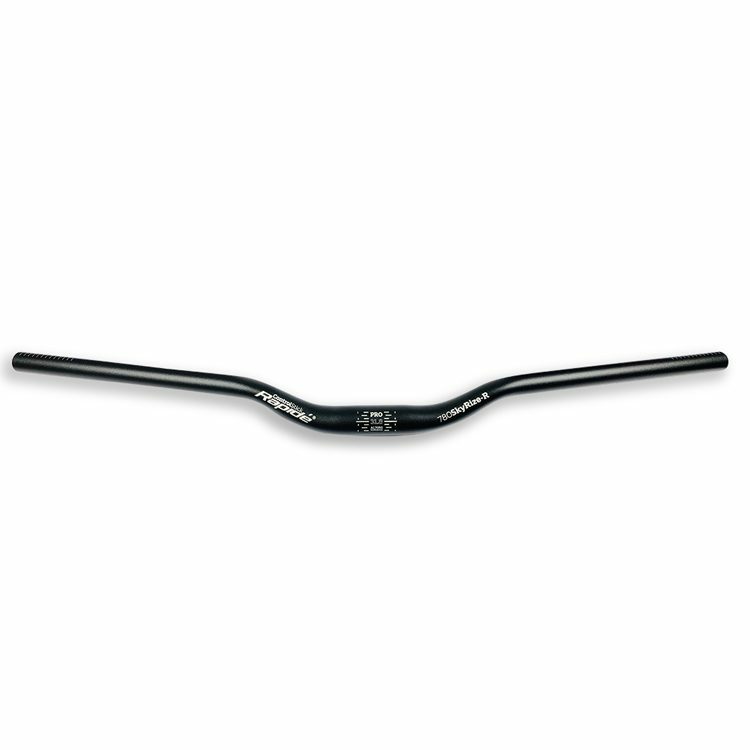 Made with premium quality aircraft grade Double Butted 7050-T6 alloy which keeps weight in check, prevents the bars from becoming overly harsh and provides superior strength and fatigue life. What Width Bar / Length Stem To Use? The general rule of thumb is to maintain a 2:1 ratio of handlebar width to stem length. For every 20mm increase in handlebar width you should reduce your stem length by 10mm. 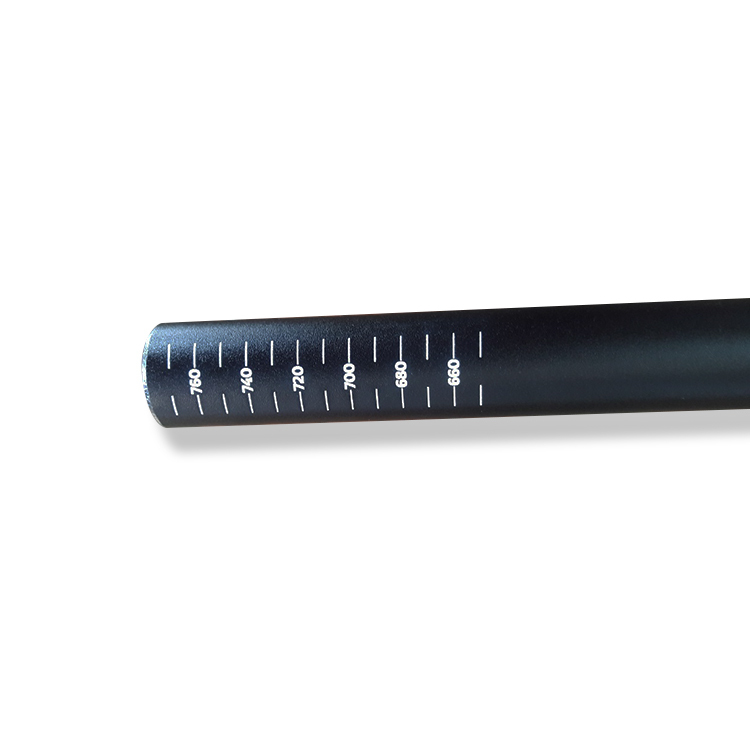 So if you’re running 660mm bars with a 100mm stem and want to try a handlebar that is 720mm wide you will need to pair that 720mm handlebar with an 70mm stem to maintain a relatively consistent position on the bike. Like most rules of thumb, this 2:1 ratio is by no means absolute and it is only useful if you’re starting from a comfortable fit position. I liked the speedy delivery especially as it was over the festive season! I liked the markers on the ends of the bar so it was easy to cut evenly!